In 1992 and 1993, people thought I was crazy. 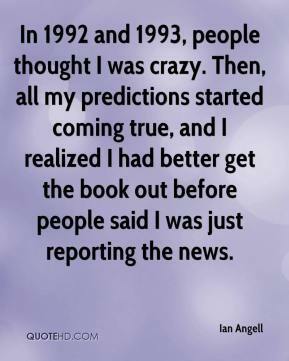 Then, all my predictions started coming true, and I realized I had better get the book out before people said I was just reporting the news. American newspapers write about the information economy. 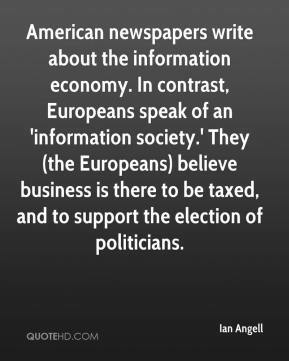 In contrast, Europeans speak of an 'information society.' They (the Europeans) believe business is there to be taxed, and to support the election of politicians. 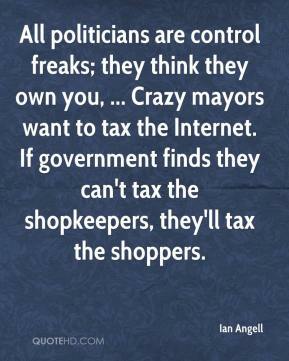 All politicians are control freaks; they think they own you, ... Crazy mayors want to tax the Internet. If government finds they can't tax the shopkeepers, they'll tax the shoppers.